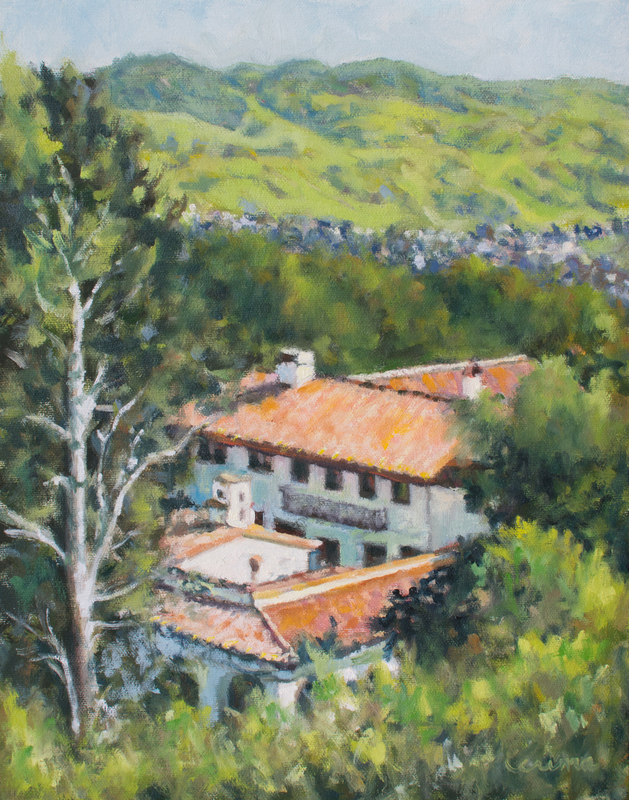 The Moraga Art Gallery announces “Beauty Near and Far,” a new exhibit featuring oil landscapes by gallery member Kerima Swain, whose vibrant colors and sun-dappled landscapes transport viewers to sites around the world from St. Mary’s College and the Golden Gate to the Greek isle of Hydra and beyond. Kerima discovered a calling to paint a dozen years ago while working in graphic design and art therapy. Her multiple interests -- dance, music, nature, travel – enable her to recognize rhythms of life that find their way into the composition, color, form, contrasts, and style of her ever-alluring paintings. Kerima creates in her home studio in Walnut Creek and occasionally outdoors. Kerima works part time as a group art and activity therapist with older adults and as a director of the Black Hawk Gallery. She finds balancing her multifaceted life challenging and fulfilling. 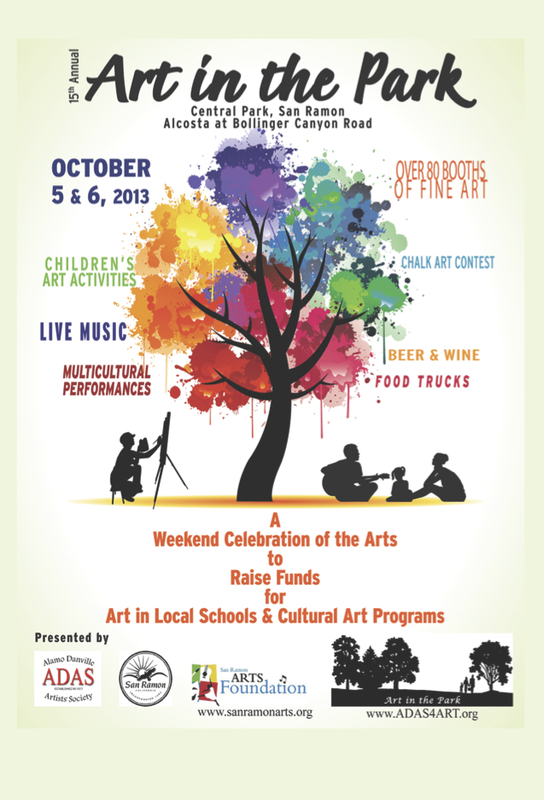 Kerima’s artwork can be viewed at several venues in the San Francisco East Bay area. For more information, please visit Kerima’s website. Extended Holiday Shopping hours: Dec. 1-24, 10-6pm, every day! 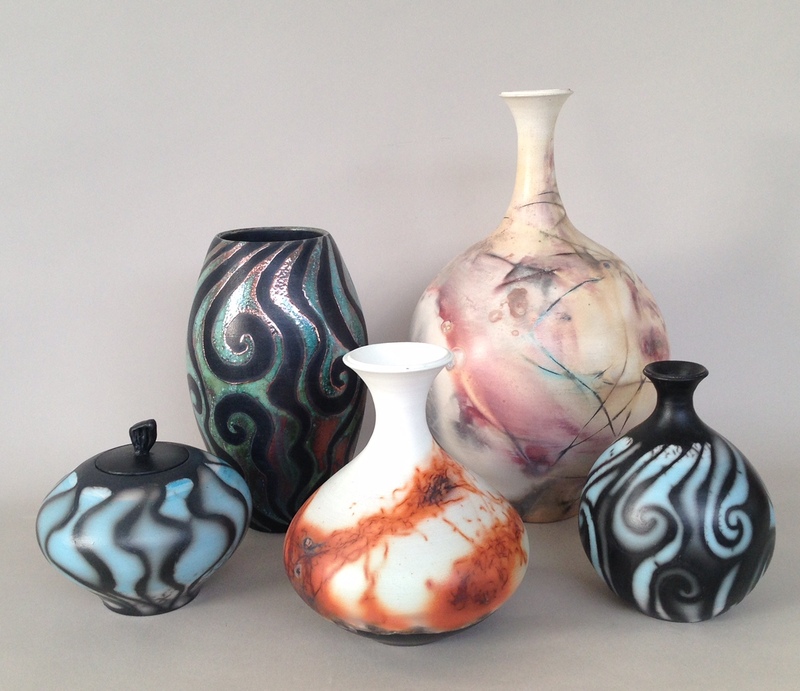 Also featured in the show is a boldly-hued collection of ceramics by guest artist Lesley Jensen, who grew up in Moraga, attended high school in Lafayette, now lives in Benicia and teaches ceramics at College Park H.S and Civic Arts in Walnut Creek. Her one-of-a-kind vessels reflect the influence of ancient Greek, Minoan, Hittite and Native American cultures. “The making of ceramics has always intrigued me,” says Jensen, who for thirty years has been experimenting with various firing techniques, including pit firing, saggar firing, and raku. “There’s always an element of surprise in seeing the effects of flame on surfaces,” she claims. The show runs from October 26th to January 7th. The public is invited to a free opening reception on Saturday, October 29th from 5:00 to 7:00 p.m. Use the occasion to meet the artists, sip a glass of wine accompanied by light snacks and live music. Sixteen member artists and several guest artists of the gallery also have paintings, photographs, ceramics, jewelry, handpainted silk scarves, and finely-crafted wood turned bowls on display. 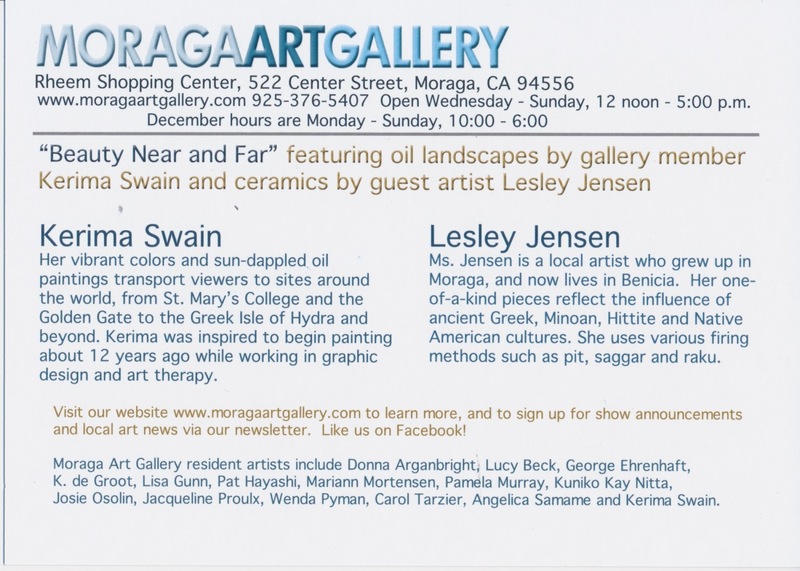 The gallery is located in the Rheem Shopping Center, at 522 Center Street, Moraga. 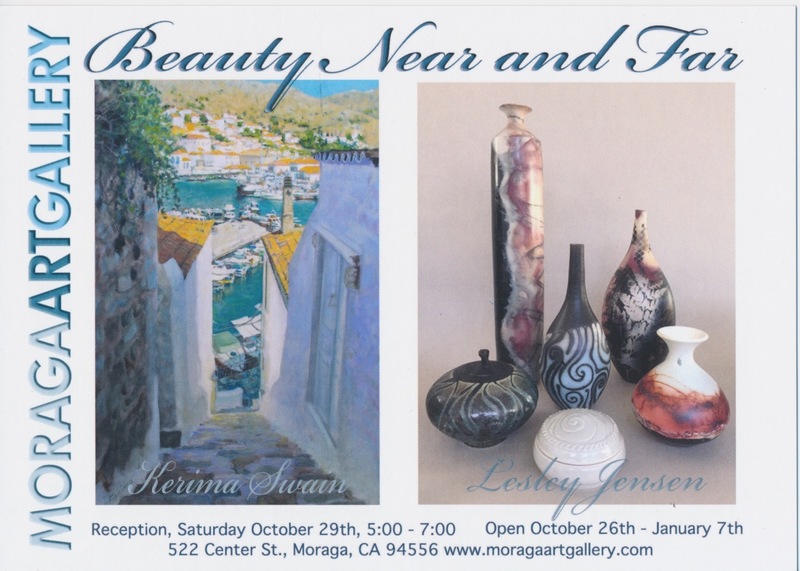 Its hours are Wednesday through Sunday from 12 noon to 5:00 p.m. For more information, call 925-376-5407 or go to www.moragaartgallery.com, or email moragaartgallery@gmail.com. This painting by Kerima Swain shows excellent perspective drawing as the underlying foundation of a highly original composition. A refined palette of warm and cool hues support a long visual sweep from the top of the stone steps in the narrow passge, across a sunny harbor, and onto to the opposite bank. The composition is fascinating as it draws the eye into an trapeze-like swing from the starting point to a forward motion down and up through the canvas. I also love how parts of the subject matter can be enjoyed as arrangement of abstract shapes in soft, complimentary orange and blue tones. This painting by artist Karima Swain is interesting on several levels. The most dominant feature is the woman in the burgundy-print dress, placed slightly off center and leaning at an angle as she rounds the chair. We know she is the only figure in motion against a field of static objects, and this contributes to the focus at this place on the canvas. The other intriguing visual effect results from a series of connected shapes, many painted in a more saturated tawny orange, leading from the bottom left to the upper right, creating a dyamic juxtaposition with the moving figure. As in her other painting, Karima considers her representational subject matter as an arrangement of abstract shapes and patterns, giving the viewer multiple dimensions to appreciate. 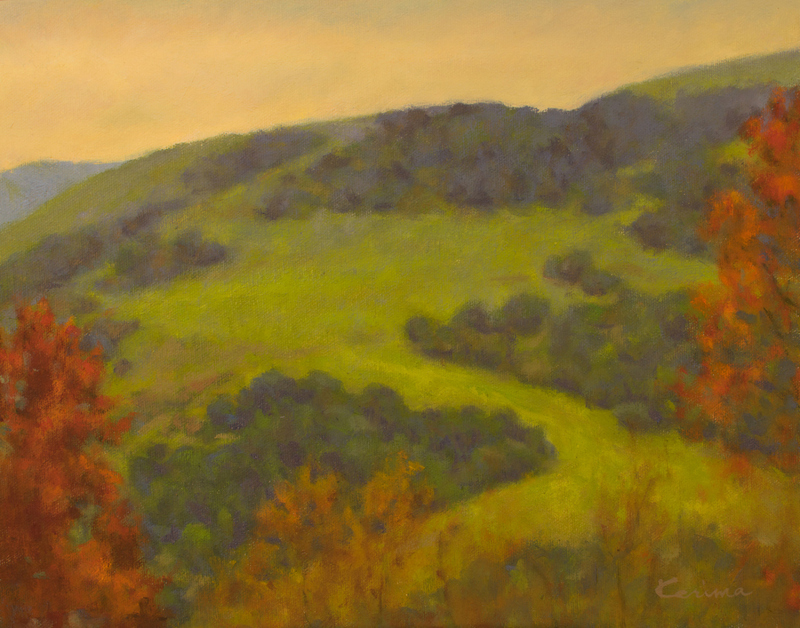 Four of my paintings are on exhibit at the Moraga Art Gallery from June 8th to August 13th. A free public reception will be held on Saturday, June 11th from 5:00 to 7:00 p.m. Come to meet the artists, sip a glass of wine and enjoy light snacks and live music. 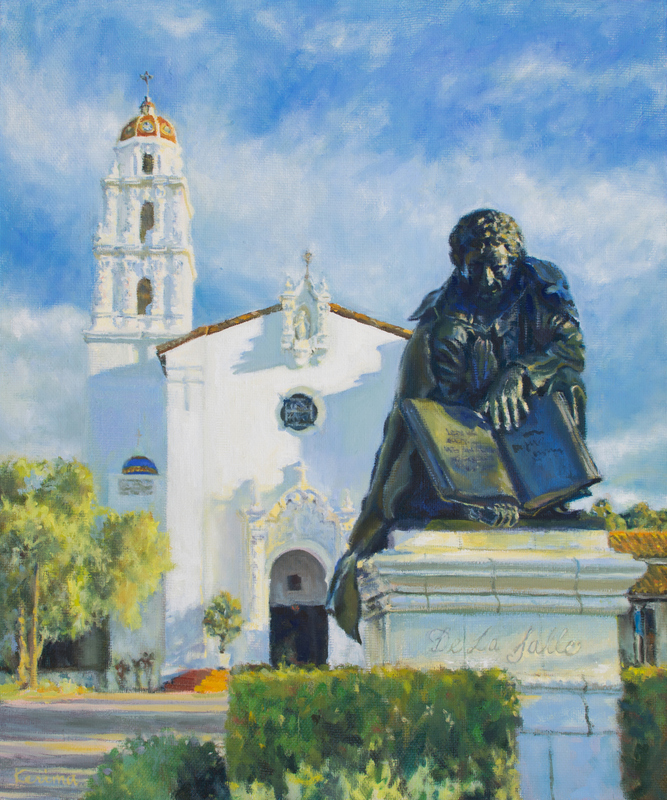 My newest painting "Saint Mary's College No. 2", oil, 24"x20"
My oil paintings "Tulips No. 1" (shown on bottom of postcard) & "Tulips No. 2" are both on display and for sale at the Blackhawk Gallery until February 14. Also available there are some of my prints and greeting cards plus a very small painting of Diablo. 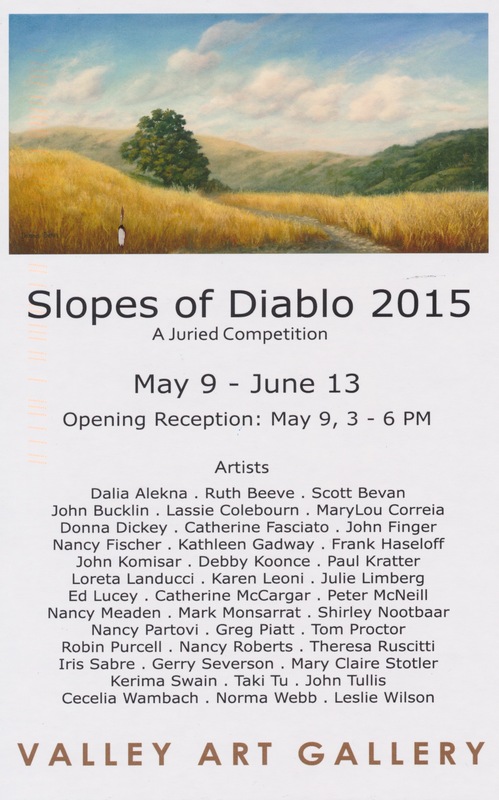 I am glad to be part of the jury selections in this exhibit. As a child, Kerima Swain always knew she felt most peaceful creating art. She'd escape into her own world of painting, drawing and doodling. Because she knew how calm and confident she felt as she created, Swain figured that as an adult she would get into a career that allowed her to find peace with art and share those feelings with others. Swain was able to combine her two passions as a registered art therapist and licensed family therapist. Now, she spends time as an art therapist and activities director at a local board and care home for older adults, aiding them in the self-expression process in their later years through painting, drawing and collages. "Before the commercial art field, I wanted to get into a field where I can help people," said Swain, a Walnut Creek resident who has also worked in graphic design. "The focus is more about creating art in the moment." Katherine Grutas, administrator of The Carnelian retirement home in Walnut Creek, said the residents really enjoy Swain's art program. "She prepares simple yet fun art projects for our seniors, some of whom have dementia," Grutas said. "Her activities are easy to follow, which provides a rewarding experience for our residents. "After Kerima's class, the residents feel accomplished and proud of the work they were able to complete," Grutas added. "It's a simple program that works and makes our seniors happy." Being out in nature inspires Swain to continue her own process of self-discovery through art. 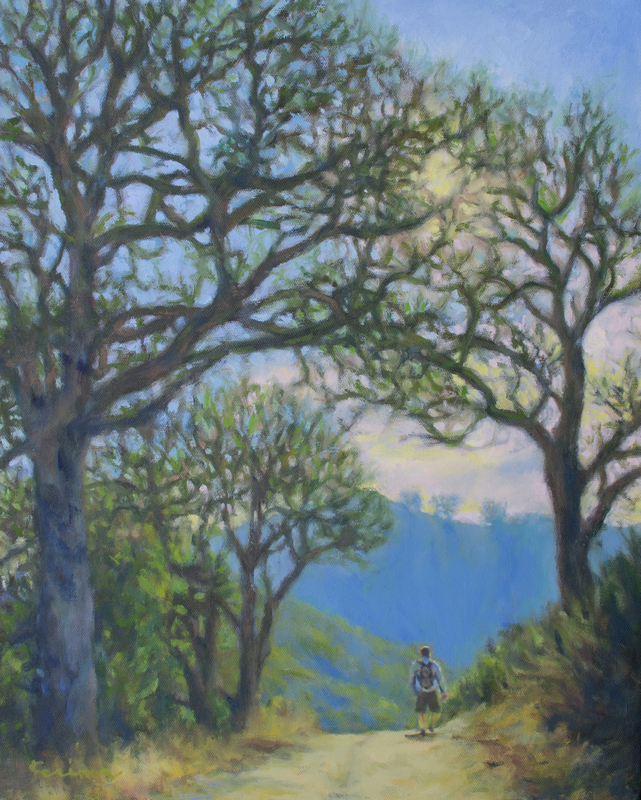 She features her oil and acrylic paintings of local scenes and several visits to western national parks are in evidence at the Moraga Art Gallery show "Illuminated by Nature," highlighting the beauty and wonder of the natural world. A lover of nature, Swain said she enjoys capturing breathtaking views she sees while hiking with her camera and paintbrushes. She paints from her photographs as well as plein air. Oakland artist Karen Kramer, who has based her work on a lifelong affinity with the natural world, will also show her work at this show. Swain's favorite subjects include the Lafayette Reservoir, Mount Diablo and Shell Ridge Open Space. "A lot of landscapes are realistic and detailed," said Swain, also the director of the Blackhawk Gallery. "My art is not realistic and not abstract, but somewhere in between." Said painter Barbara Cella, "Kerima is an incredibly talented painter. She captures the light, color and atmosphere in her paintings beautifully. 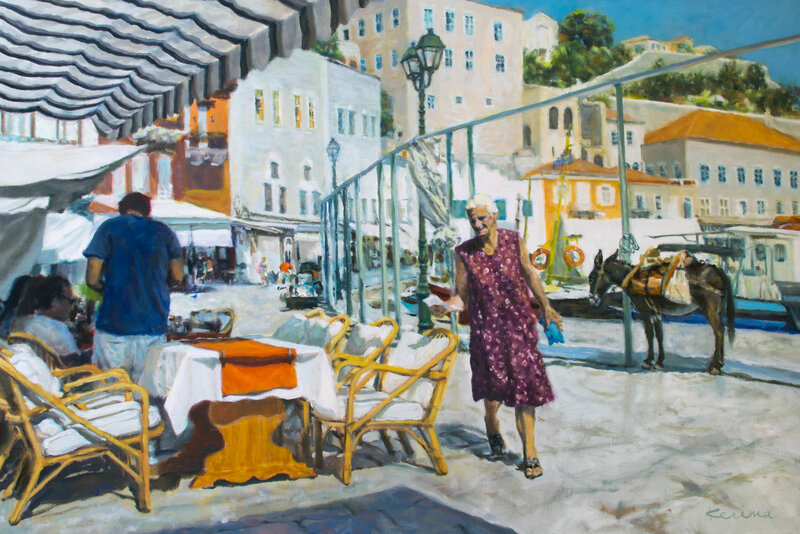 I love the way she composes her paintings to capture a moment in time, cropping the scene in ways that make you focus on details you otherwise might miss." Being illuminated by nature and capturing the flora and fauna found in natural landscapes onto canvas has been an ongoing process of discovery of herself as an artist, she said. "I had to go through a lot of self-exploration being an art therapist," said Swain, who was born and raised in Taiwan before she moved with her family to North America when she was 17. "I can see how people struggle with the arts and with their self-confidence. When I'm painting, it is easy to criticize myself. "I have a conversation with myself. The process of art can be therapeutic. But when you start criticizing yourself, you can disable the creativity. When you're being hard on yourself and think you're not good enough, you think you might as well stop." Swain said that as an art therapist, she helps people nurture their creativity as she helps herself. "When I watch my clients create art, it inspires me to create art." 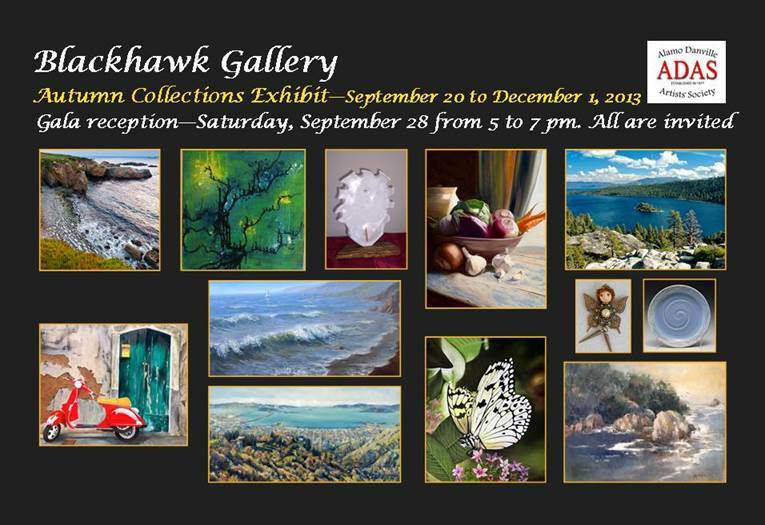 INFORMATION: Reception, 5-7 p.m., Saturday; www.moragaartgallery.com, call 925-376-5407 or email moragaartgallery@gmail.com. 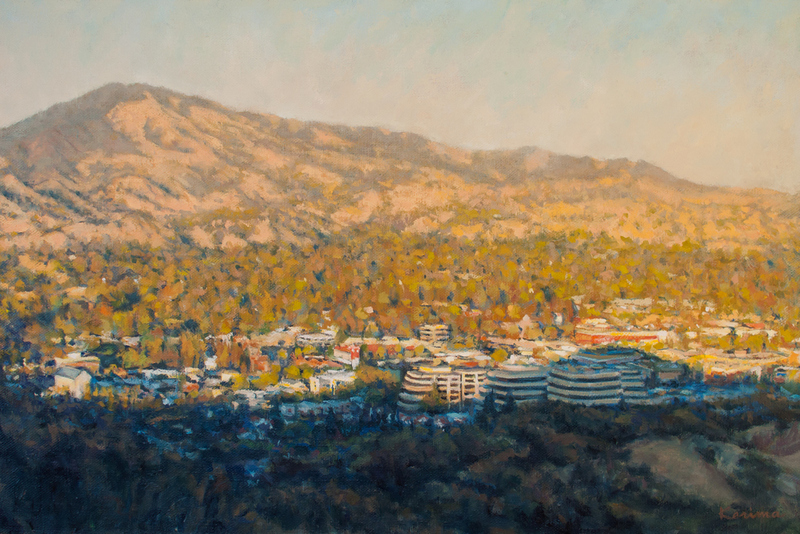 MORAGA: The Moraga Art Gallery announces a new show entitled “Illuminated by Nature” highlighting the beauty and wonder of the natural world through oil and acrylic paintings by resident artist Kerima Swain and watercolor paintings by guest artist Karen Kramer. The show opens March 19 and will run through May 31, 2014. There will be an opening reception to see the exhibit and meet the gallery’s artists on Saturday, March 22 from 5:00 to 7:00 pm. The reception is free and the public is invited to attend. 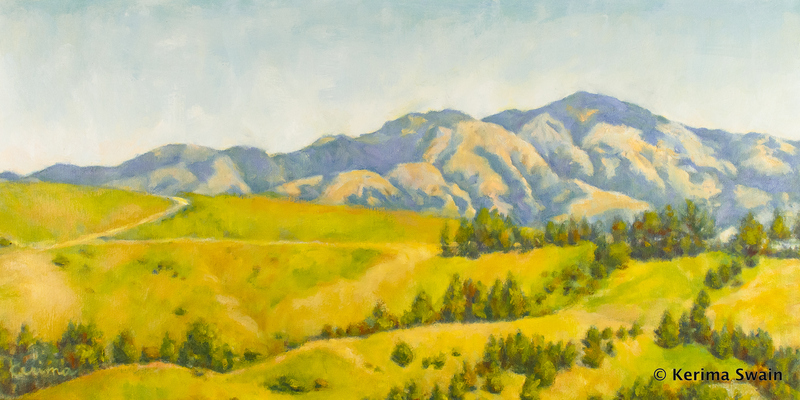 Walnut Creek artist Kerima Swain will feature her oil and acrylic paintings inspired by local scenes and her many visits to western national parks. A lover of nature, Kerima enjoys capturing breathtaking views with her camera and paintbrushes. 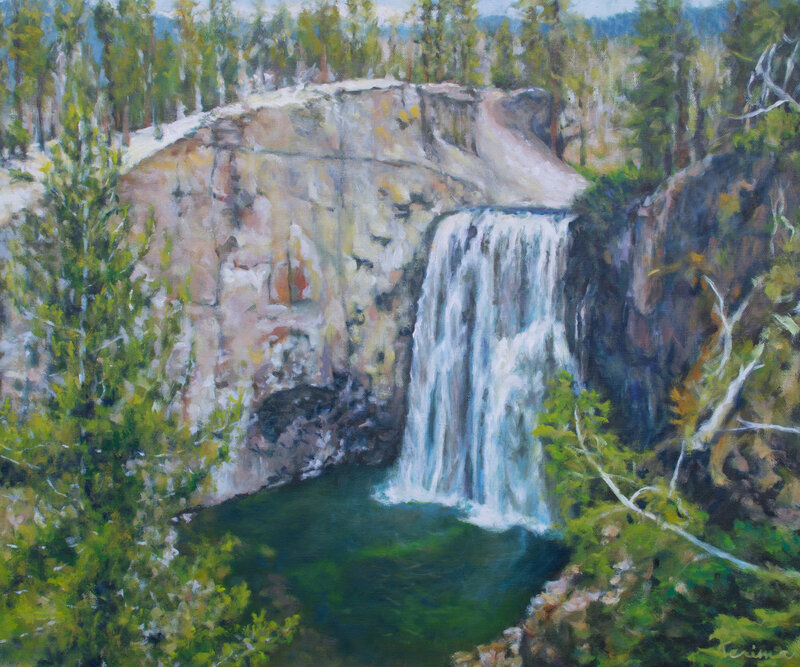 She paints from her photographs as well as on location (plein air). Originally from Taiwan, Kerima immigrated with her family at the age of17. Kerima started painting seriouslyfollowing many years of work in art-related fields including graphic design and art therapy. Her art education came from years of classes and workshops at Oregon State University, San Francisco State University, Notre Dame de Namur University, Walnut Creek Civic Arts Education, ongoing Art Society lectures and self-study. In 2006, Kerima began exhibiting her art publicly and has since received several awards in local juried shows. Her paintings are in the homes of private collectors in the United States and Europe. 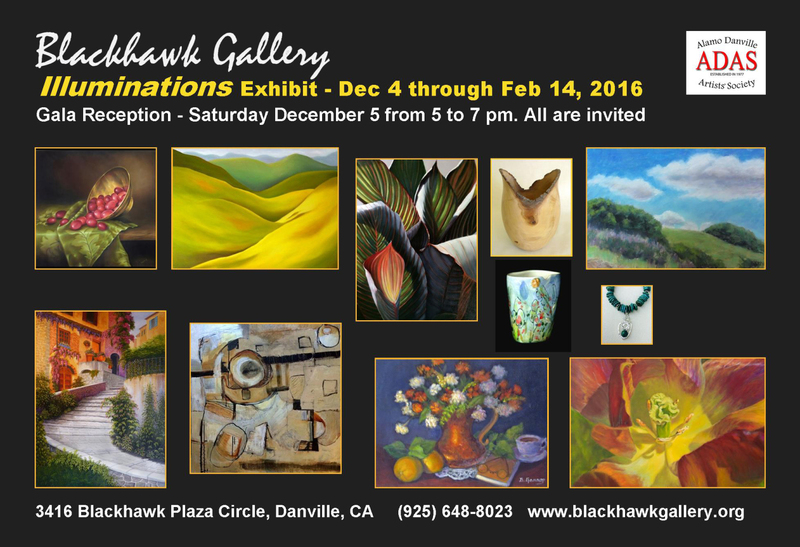 She is not only a member of the Moraga Art Gallery, but also is the director of the Blackhawk Gallery. For more about the artist, visit www.kerimaswain.com. My painting "San Francisco View from Berkeley" is on the postcard and on exhibit at Blackhawk Gallery until December 1, 2013. I have also become the new director there stating September 1, 2013. It was fun to have a booth at Art in the Park. Oakland, CA- On the first two weekends of June, over 80 local and emerging artists, working in a wide variety of mediums, will take over two large buildings in Jack London Square to share their work with the community as part of Pro Arts’ East Bay Open Studios. Artists will be setting up their displays at 98 Broadway and 55 Harrison Street in the buildings known as Jack London Square’s the Pavilion (formerly Barnes & Noble) and Market Hall. Ranging from conceptual sculpture installations and political, ecologically themed work all the way to practical custom furniture and everywhere in between, this show will satisfy the most varied palette. Sculpture, painting, pastel, mosaic, photography, printmaking, drawing, woodwork, glass, ceramics, metal, and jewelry: it will all be there. “The variety on view here is a testament to the East Bay's exciting and diverse art community,” say event organizers Kerrie Paussa and George Ehrenhaft. Artists will be showing on June 1st, 2nd, 8th, and 9th, from 11:00 am to 6:00 pm each day. With ample parking and dining options nearby, it’s a perfect place to spend an afternoon or a weekend.